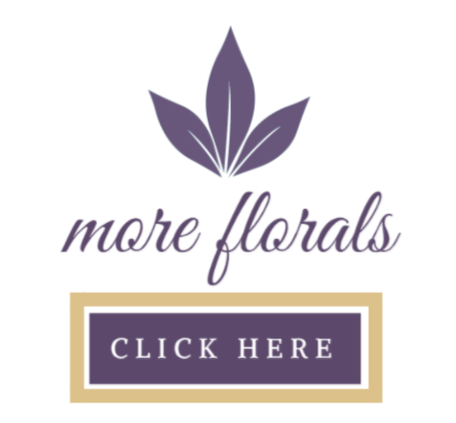 Petals N Buds Bear Mountain Florist delivers weekly flowers to offices, hotels, retailers and private homes across Victoria, Westshor, Mechosin, and beyond. We've proudly developed a reputation for not only delivering consistently beautiful flowers, but for also providing excellent customer service. Our staff understands the importance of delivering designs that capture the essence of your company's brand in a beautiful manner. Your flowers will be delivered every week at a convenient time. And with each delivery, you can count on your flowers to be fresh and long-lasting. If your flowers ever need extra attention, we have a florist on-site to assist. We deliver office flowers six days a week, from 7 a.m. Monday morning to midday on Saturday. Please call us first for a free consultation for commercial delivery. Every professional knows that a large part of customer satisfaction derives from how a client feels when visiting your premises. So naturally, it's important to create a warm, welcoming environment with aesthetic appeal the eye can enjoy. And we help you accomplish this with unique florals. Service: Our freshly arranged office flowers are delivered to businesses weekly. Our commitment to quality and service ensures the ambiance and setting of your business speaks volumes about how your company wishes to treat their patrons through elegant floral work. Design: We design specifically for you; we consider your existing color scheme and decor when creating florals to ensure a cohesive design while utilizing sophisticated techniques to ensure each vase display looks its absolute best. Delivery: Petals N Buds is a full service florist offering you the convenience of ordering arrangements with short notice. If you place an order we can have it delivered the same day. It's just part of our service. Service: We design floral displays for the best hotels around. With our hotel clients, we understand the high level of service that is required. A senior designer is responsible for the creative direction and delivery of the weekly flowers. This florist works closely with hotel management to ensure the flowers, vases and props complement the interior decor. Luxury Bouquets: In addition to weekly flowers, we also deliver luxury bouquets with a talented events team at your service. 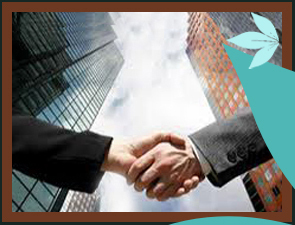 We offer hotels excellent discounts and commission agreements as part of our business relationship. Design: We understand hotels require a wide variety of displays from simply chic table bud vases to extravagant lobby focal displays. We thrive on the challenge of designing inspirational displays of grand scale each week. Price Guide: Our contract flower service is fully tailored to your needs. If you would like a copy of our price guide for contract flowers, please email or call us today. Service: We deliver amazing floral displays to fine restaurants and bars. Our clients are assigned a senior floral designer who works closely with each client to ensure the flowers and vases complement the interior. Flowers are delivered at the same time each week and are professionally installed by a member of our team. Events: In addition to our weekly flowers, we also provide event florals. Should your venue be hired for a special occasion, we can install flowers on every scale imaginable and happily offer you a commission for recommending our services. Design: From classic to contemporary, we cater to all design tastes. We will work closely with you to produce gorgeous vase displays using fresh, long-lasting flowers. Should you wish to theme the flowers during calendar events, such as Christmas, simply let us know and we will propose solutions tailored to your individual requirements. Service: We provide weekly floral displays for a select number of private clients. Our service is extremely discreet and we adhere to all security requirements. We work very closely with our clients and assistants to guarantee their flowers look immaculate every week. This unique service can be tailored to suit your social calendar. Real Estate Floral: Petals N Buds assists realtors with home staging efforts to promote sales. We incorporate custom arrangements that fit each project’s space and specific needs. From dressing up a large open foyer, to providing table decor that suggests an intimate dinner party, we can provide creative solutions for you. Design: We work closely with our clients to ensure floral displays are just right. We happily source vases and props to complement interiors and take great care to ensure flowers are perfectly styled each week. We design specifically for you, mixing media to suit any budget and décor. As part of your top-of-mind marketing plan, use floral complements. Making a good impression goes a long way towards improved customer acquisition and retention. When you have a need to introduce your company or you wish to leave people with a reminder of your company and products, use a single flower elegantly wrapped with your card and/or message attached. Hand these out yourself at trade shows, open houses or have one of our representatives hand them out for you, with your prescript. Whatever the occasion, a fresh flower will have a greater impact than a business card alone! At Petals N Buds Bear Mountain Florist our commercial floral design philosophy is “Great ideas synchronize with precise color combinations and designs. Great ideas help create wealth, but it takes a unique living atmosphere to inspire professionals to invest in great ideas.” Petals N Buds commitment to excellence in floral design and business delivery, fosters a professional culture, emphasizing relationship building and intellectual rigor: one hand on top of the other. It seeks to marry the rational and emotional components of a satisfying and lucrative business. Petals N Buds knows the importance of making a strong professional statement and offers exceptional interior floral design, smooth service delivered on time and on budget.